Good ole Facebook. 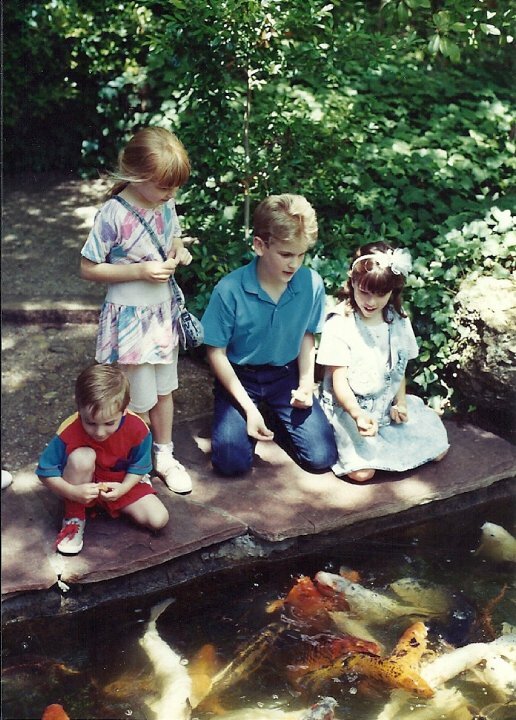 A friend of mine posted some embarrassing pictures of us as kids, and I thought I'd oblige you with a quick trip down memory lane. 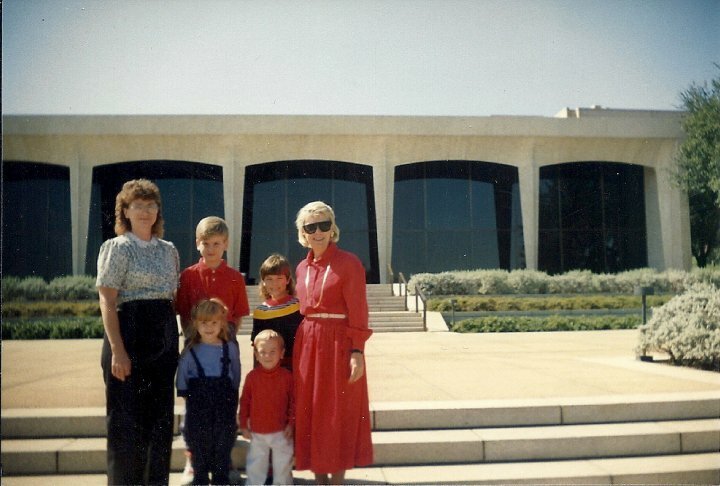 Apparently as a small child, I actually sported a mullet. Sweet. 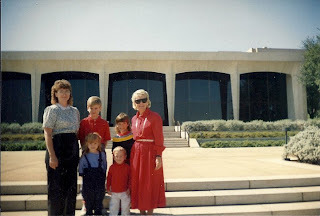 I'm next to my mom (who's looking fashionable in all red! ), with my, uh, mullet. That's me with the poofy white bow in my hair... and dressed identical to my mother! I happen to love this photo. It looks so artistic and I remember these days well. We loved feeding the fish at the Japanese Tea Garden. 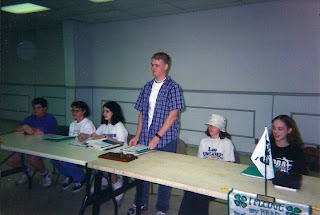 Skip a few years forward, and that's me in my "boat hat" as Secretary of our local 4H club. Fashion statement or incognito? Who knows. Hope everyone's having a nice weekend. We slept in (it was wonderfuuuuuuuul) and I woke up to homemade breakfast tacos at the ready. And all the dishes washed and dried. Love that husband of mine! It's one of our last lazy Saturdays for awhile, so we're soaking it in. Fortunately the sun is out shining, too, which we enjoyed on our way to the gym. Now we're sipping some Crown (brought from home by a friend) and just finished watching the John Smith's Grand National - what a nail biter! 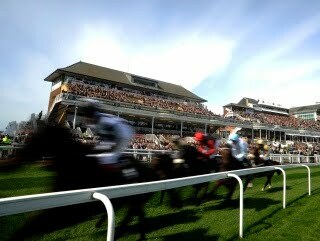 Out of the 40 horses that start the 4.5 mile, 30-hurdle race, only 15-20 finish. It was really intense, but the guy that won had raced the Aintree championship 15 times. So he certainly deserved his victory. Day one of the races. Here's to a sipping, shining Saturday! 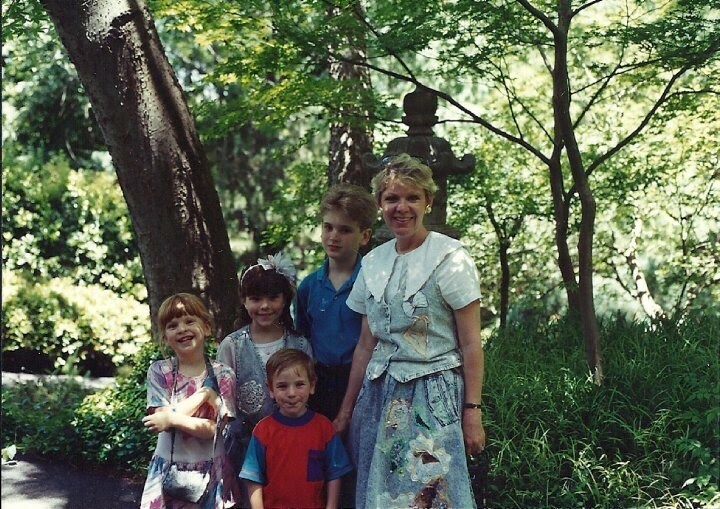 What a stroll down Memory Lane! Enjoy your lazy Sat! We are having one, too. We work a bit, then rest. Work a bit, then rest! The playhouse is now clean...and soon to be filled with lawn equipment!